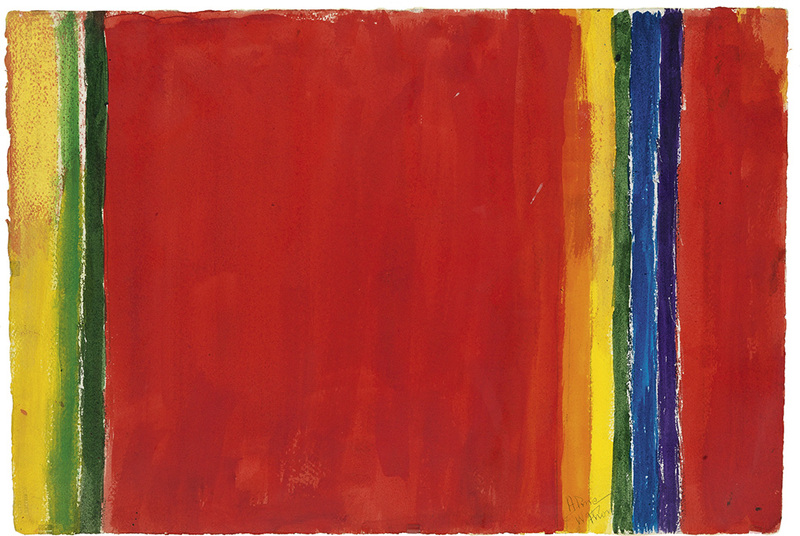 This Untitled watercolor from Alma Thomas’s Space Series, circa 1969-72, is featured in our October 9 auction. 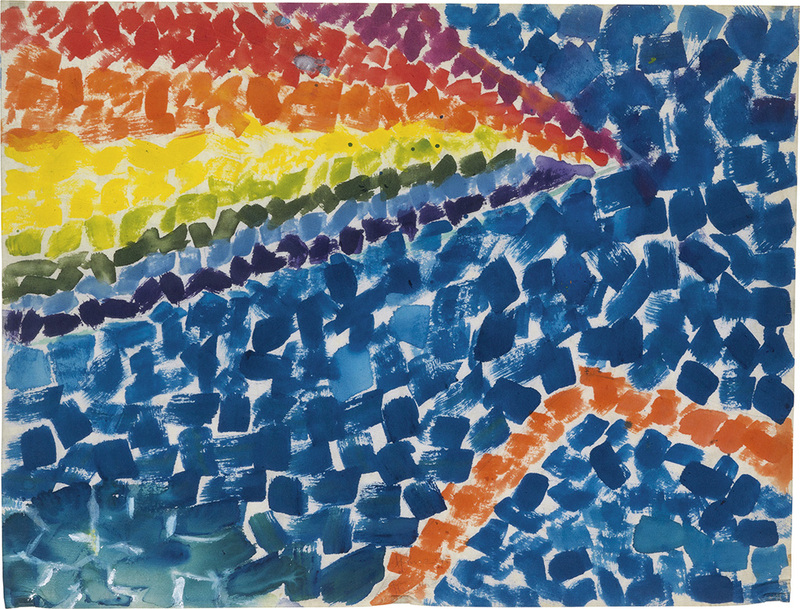 Alma Woodsey Thomas, abstract painter and art educator, was born on this date in 1891 in Columbus, Georgia–today would have been her 113th birthday. 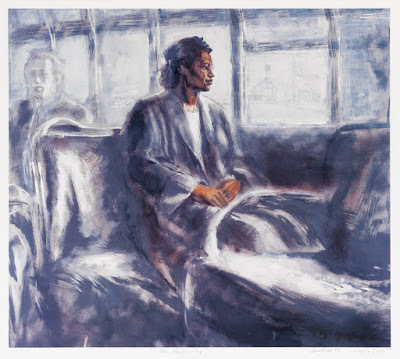 In 1960, Thomas retired from Shaw Junior High School in Washington, DC after 35 years as a teacher, and began a full-time career as an artist. By 1972 she had received national acclaim with her one-person exhibition at the Whitney Museum of American Art, a first for an African-American woman. Also featured in our October African-American Fine Art auction is this Untitled (Stripe Composition), watercolor and pencil, 1971. 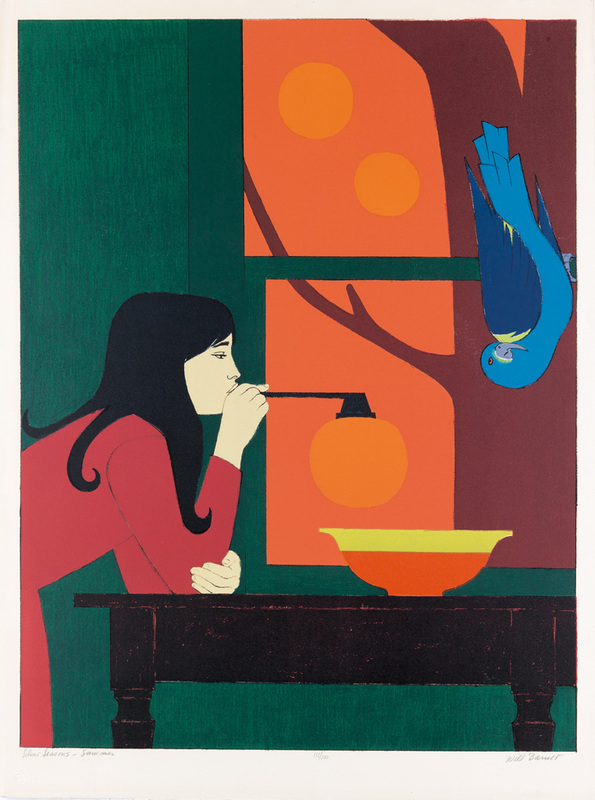 Today we recognize in her bold colors and brush strokes a keen sense of the beauty of abstraction found in nature. Thomas found inspiration close to her Washington, D.C. home–from the azalea blossoms in her garden to the Apollo landings broadcast on television. Untitled (from the Atmospheric Effects Series), 1971, is another watercolor coming up for auction in October. 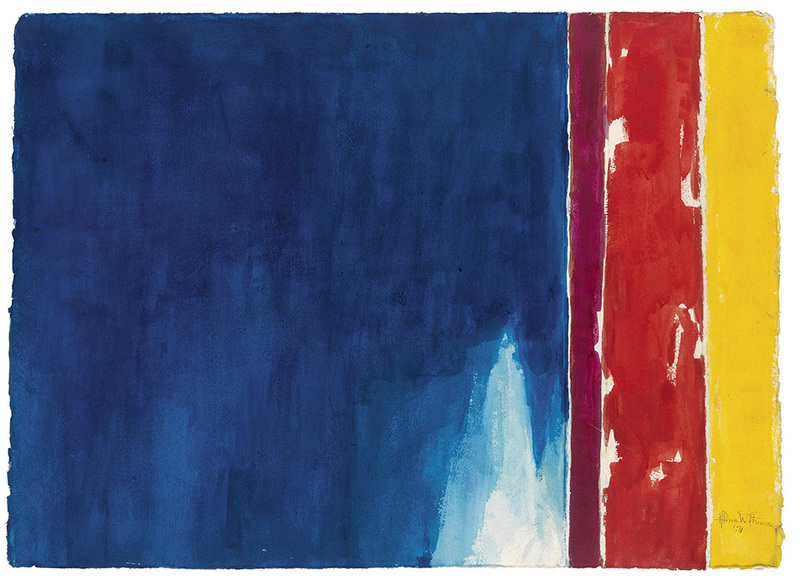 Swann is lucky to have three strong examples of her work in our October 9 auction–each of these watercolors conveys the powerful simplicity of her unique style of abstraction. 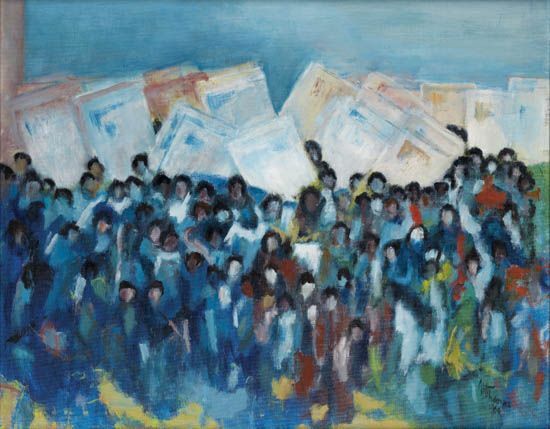 In February 2012, Swann sold Thomas’s March on Washington, oil on canvas, 1964, one of the artist’s few representative works from the 1960s, for $72,000.